The Prosecutor General (PG) office has filed murder charges against a Maldivian man of accused of killing a Bangladeshi expatriate on the island of Gan in Laamu atoll last month. The PG office filed the case at the criminal court yesterday, but has not revealed the identity of the accused. The undocumented worker, known locally as Bassan, was discovered dead with severe head injuries at an uninhabited house on June 11. The caretaker of the house who discovered the body said Bassan had told him that the owner of the house had given him permission to sleep on the veranda. But the owner, Thoha Waheed, denied that Bassan had asked for permission. The right side of Bassan’s face was smashed in and blood was splattered over the wall. Bassan’s murder is the third killing of a migrant worker this year. The police had arrested a Maldivian man and a woman in connection to the murder. But the PG office has not pressed charges against the female suspect. Speaking to Minivan News, Jasim Uddin from the welfare department of the Bangladeshi High Commission condemned the brutal killing and called on the Maldivian government to provide justice for the family of Bassan. Jasim also raised concern over the burial of Bassam’s body in Laamu Gan even after repeated pleas to bring the body to the capital. “The police said the body was decaying and they need to bury it. We told them to bring the body to Malé City as a decision has to be made whether the body was will be sent to Bangladesh or not. But they buried him anyway,” he said. Some 124,000 expatriates reside in the Maldives, according to the immigration department, of which more than 30,000 are undocumented migrant workers. In 2014, the police rescued a Bangladeshi held captive in an accommodation block for migrant workers. In April this year, two migrant workers were kidnapped, robbed and beaten in a recruitment and employment agency in Malé. A Bangladeshi worker was discovered in chains in 2009. 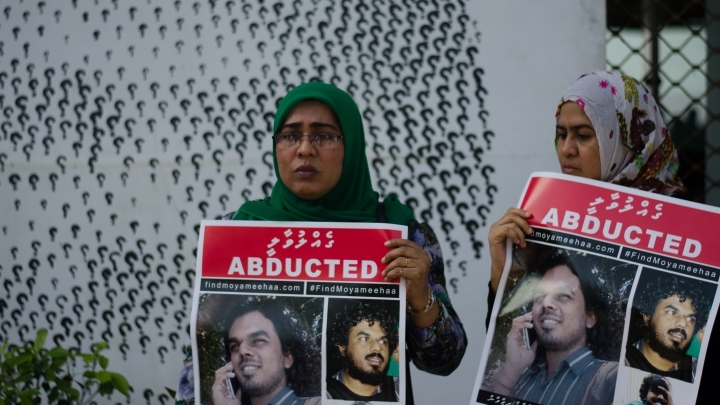 The police have said that there is no evidence linking the disappearance of Minivan News journalist Ahmed Rilwan in August last year to a reported abduction outside his apartment in Hulhumalé. Rilwan’s neighbours had reported seeing a man forced into a red car at knifepoint outside the apartment building in the early hours of August 8, at the same time he would have reached home. 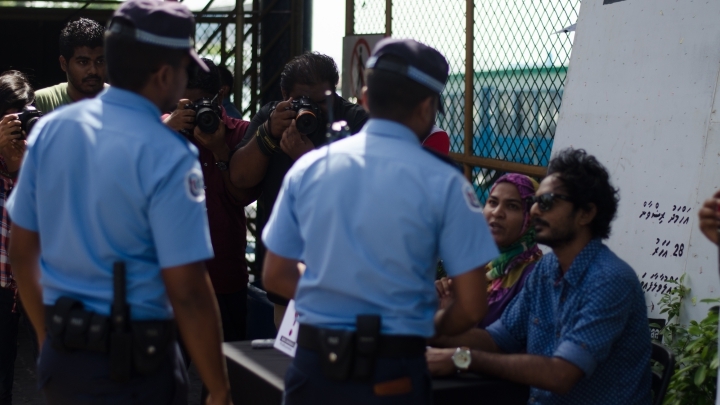 In a statement released today, the police said they have received DNA analysis of samples taken from three cars suspected to have been used in the abduction, but could not “conclusively state” that there was a connection between the incident and Rilwan’s disappearance. “We also note that this analysis did not provide any evidence of a link to the suspects previously arrested in this case,” the police said. 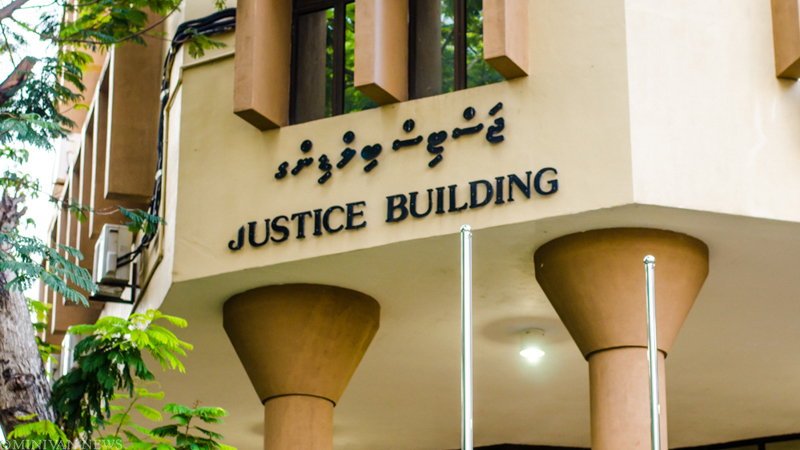 Four suspects had been arrested in October and one suspect was held in police custody for five weeks, but the Criminal Court transferred him to house arrest in November. 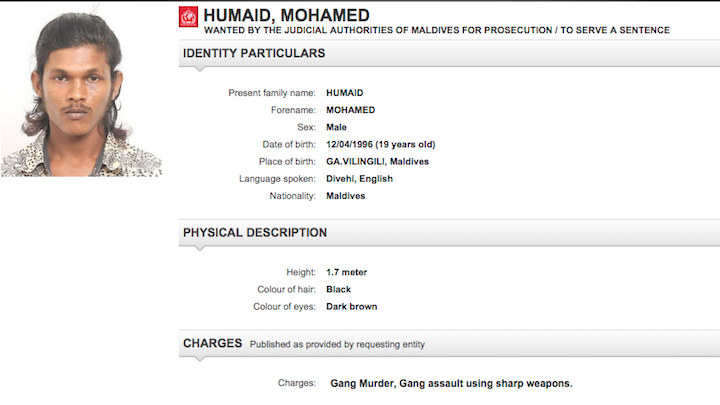 One of the suspects was among a group of 12 Maldivian jihadis who traveled to Syria in January. The group also included Azlif Rauf, a suspect in the murder of MP Dr Afrasheem Ali in October 2012, who reportedly died while fighting in Syria in mid-May. An investigative report published by Maldivian Democratic Network had identified Azlif’s brother Arlif Rauf as the owner of the red car which may have been used in Rilwan’s suspected abduction. The report implicated radicalised gangs in Rilwan’s disappearance and confirmed evidence of possible “hostile surveillance” at the terminal conducted by two known affiliates of Malé-based Kuda Henveiru gang led by the Rauf brothers. Home minister Umar Naseer had also also acknowledged involvement of criminal gangs in the case. Today’s police statement meanwhile follows Rilwan’s family backing an opposition proposal for an independent inquiry last week. The family also announced plans to hold a march on August 8 to mark one year after Rilwan’s disappearance. 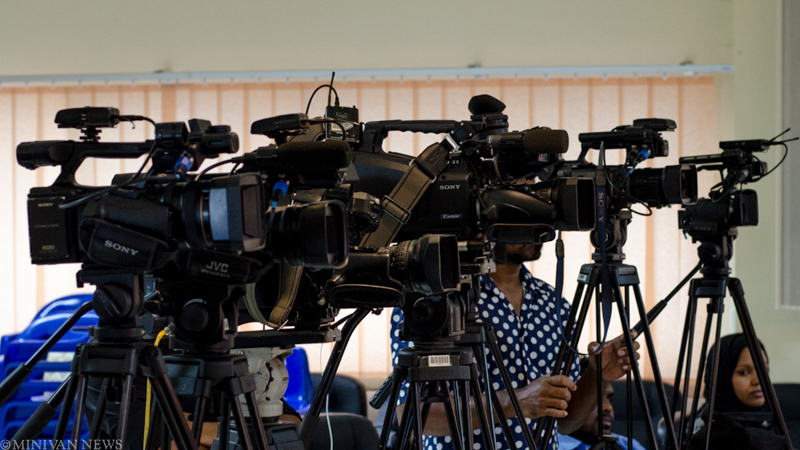 The police vowed to continue efforts to find the missing journalist and the investigation into his disappearance “no matter how long it takes” and urged anyone with information to come forward. Rilwan’s disappearance was “one of the cases that police investigation teams gave the highest priority to and spent the most time investigating in 2014,” the police said. Police investigators have questioned 198 people, obtained statements from more than 80 individuals, and retrieved more than 293 hours of CCTV video footage, the statement noted. The police also searched public spaces, closed areas, and industrial areas in Hulhumalè, the statement continued, and searched more than 50 places in the suburb with court warrants. In a press release last week, Rilwan’s family provided an update of activities conducted in the past year. A petition with 5,500 signatures calling for a speedy investigation was submitted to the parliament last year, but is stalled at a parliamentary committee. The family said they met with commissioner of police Hussein Waheed last week and last met with home minister Umar Naseer and the police investigating team in May. 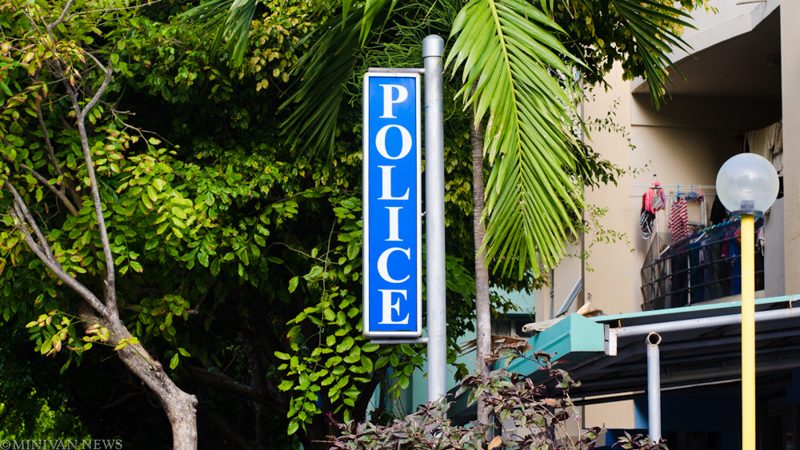 The Police Integrity Commission was asked to investigate police negligence in October last year, but the oversight body has yet to produce a report. Ten men have been arrested in Fuvahmulah on suspicion of drugging, blackmailing, and forcing children into prostitution. The ten suspects were taken into custody with arrest warrants between 4:00pm and 2:00am yesterday, the police said. 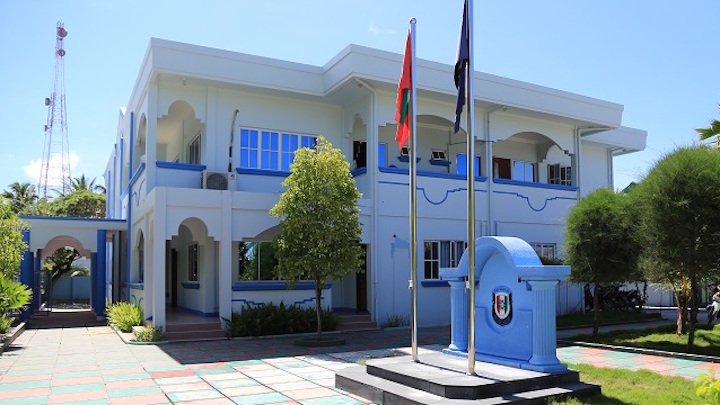 The Fuvahmulah magistrate court has since ordered the suspects to be held in remand detention for 15 days. The suspects included three men aged 22, two men aged 21 and a 55-year-old, 50-year-old, 41-year-old and 32-year-old. A special investigation team from the family and child protection department together with the Fuvahmulah police station are investigating the case in the southern atoll. The police did not reveal any further details. According to CNM, the police began investigating the case upon learning that a 16-year-old victim of the prostitution ring was pregnant. The Fuvahmulah hospital had alerted the police and the gender department last week, prompting an immediate investigation on the island. 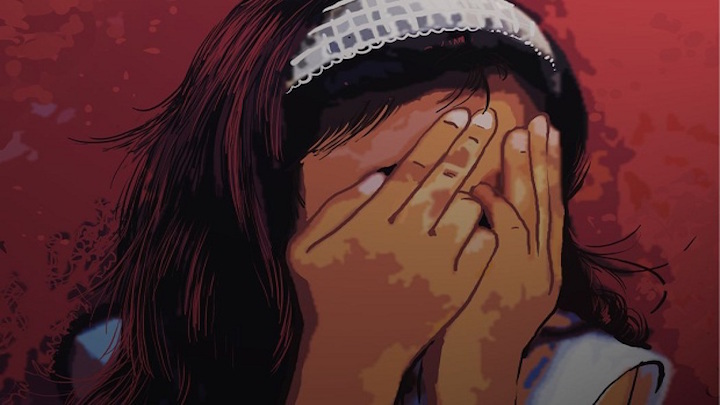 More underaged girls were among the victims of the prostitution ring, including a 14-year-old girl who is reportedly the daughter of the one of the 10 suspects. The girls were tricked into using drugs and filmed naked, CNM reported. The men threatened to leak the videos and blackmailed the minors. The 10 suspects in custody include a guesthouse owner, businessmen, political party activists, and persons with criminal records.